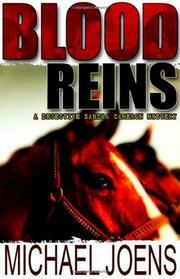 A routine whodunit about rascally behavior among LA’s equestrian set. Breathlessly beautiful Sergeant Sandy Cameron of the LA County Sheriff’s Office and studly Sergeant Tom Rigby of the Burbank PD did pretty well the first time around (An Animated Death in Burbank, 2004). But they seem heavy-footed when they try to figure out who switched a lethal dose of horse tranquilizer for the insulin shot prepared for Chet Gundry, horse trainer, philanderer, closet diabetic. For a while, Sergeant Tom seems to think Sergeant Sandy might qualify as a suspect. In her off hours, Sandy’s an equestrienne. The deceased wasn’t just her trainer; she was briefly one of his fillies. Sergeant Sandy resents what she construes as a grilling (“ ‘What’s going on here, Tom?’ she said, angrily placing her fists on her lovely hips”). Nor is she appeased by his protests that he’s just doing his job. By and by, however, Sergeant Tom, in danger of seeing those lovely hips swivel out of his life forever, remembers that he’s Sandy’s boyfriend and allows that the evidence against his lady is flimsy. With his support, Sandy sniffs out a sneaky conspiracy, and after one of those endless Agatha Christie disquisitions about how whodunit did it, it’s agreed she’s cracked the case. A horse of the same old color.